Hands-on learning from early childhood through school age. Sensory table mats also available. Baltic Birch school furniture of the highest quality, made in the USA with environmental sensitivity, using a cleanable, non-toxic finish that will not yellow. All sensory tables include a lifetime factory warranty. 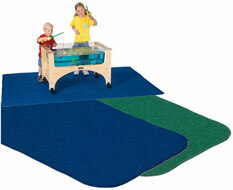 Scroll down to view entire selection of sensory tables. Available in two heights. 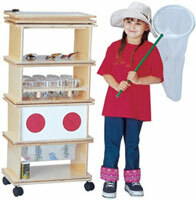 Includes sturdy birch activity cover.